2 what will the changes mean to adult education? 3 What will the changes mean to adult education? 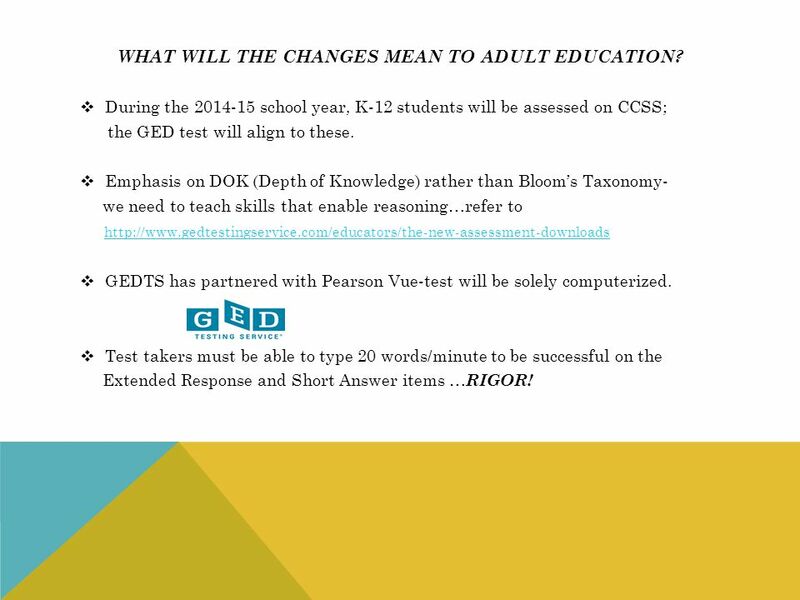 During the school year, K-12 students will be assessed on CCSS; the GED test will align to these. 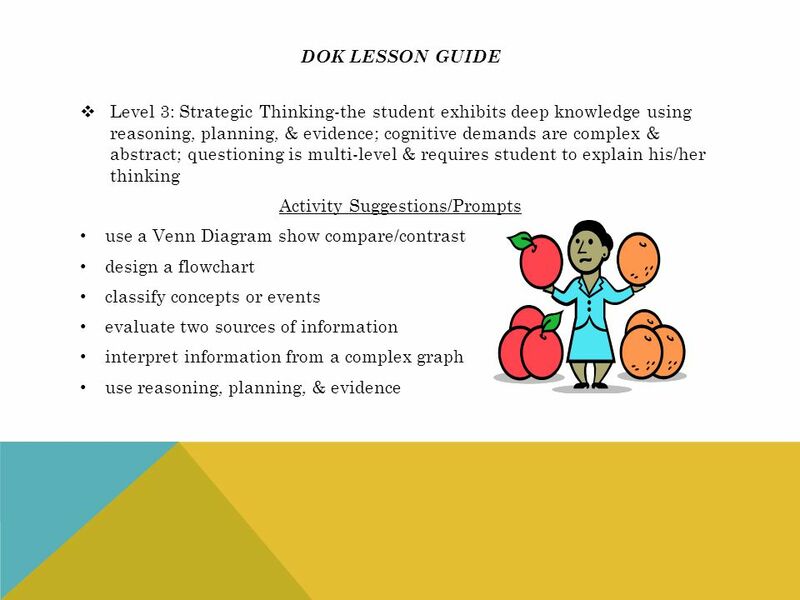 Emphasis on DOK (Depth of Knowledge) rather than Bloom’s Taxonomy- we need to teach skills that enable reasoning…refer to GEDTS has partnered with Pearson Vue-test will be solely computerized. 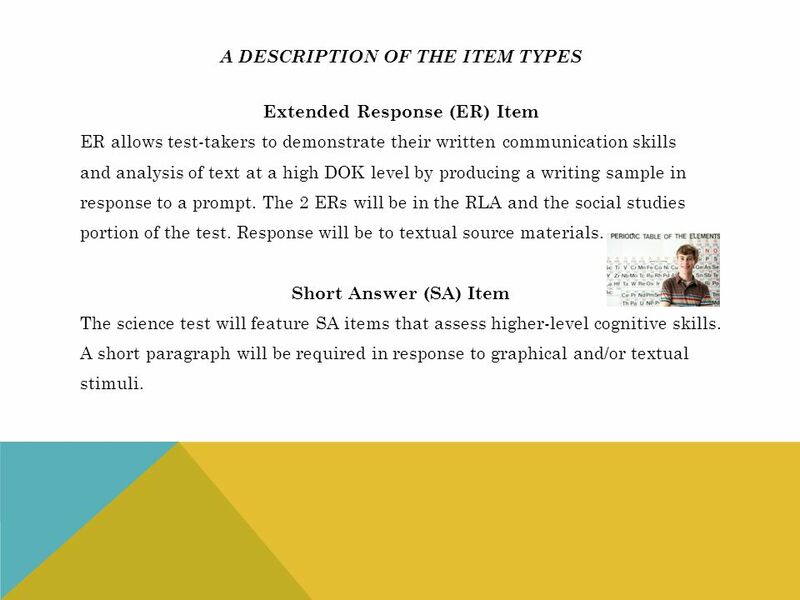 Test takers must be able to type 20 words/minute to be successful on the Extended Response and Short Answer items …RIGOR! 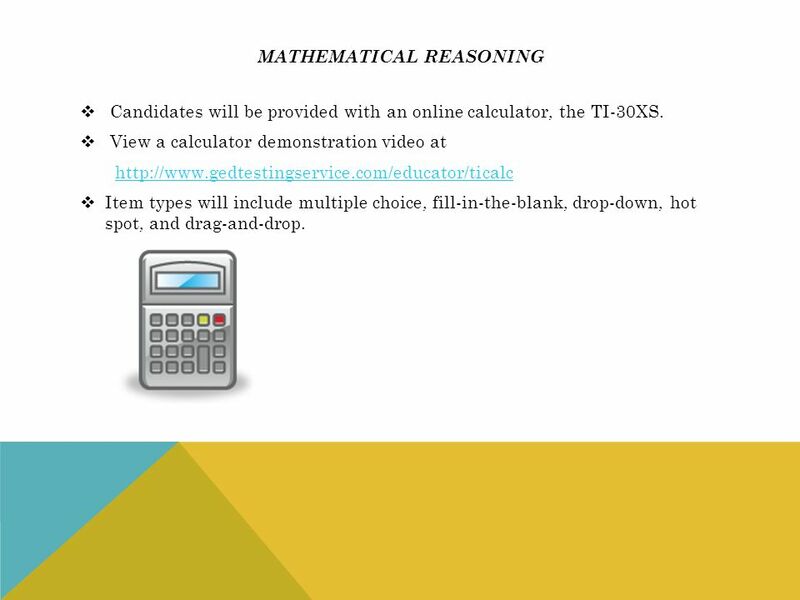 Candidates will be provided with an online calculator, the TI-30XS. View a calculator demonstration video at Item types will include multiple choice, fill-in-the-blank, drop-down, hot spot, and drag-and-drop. 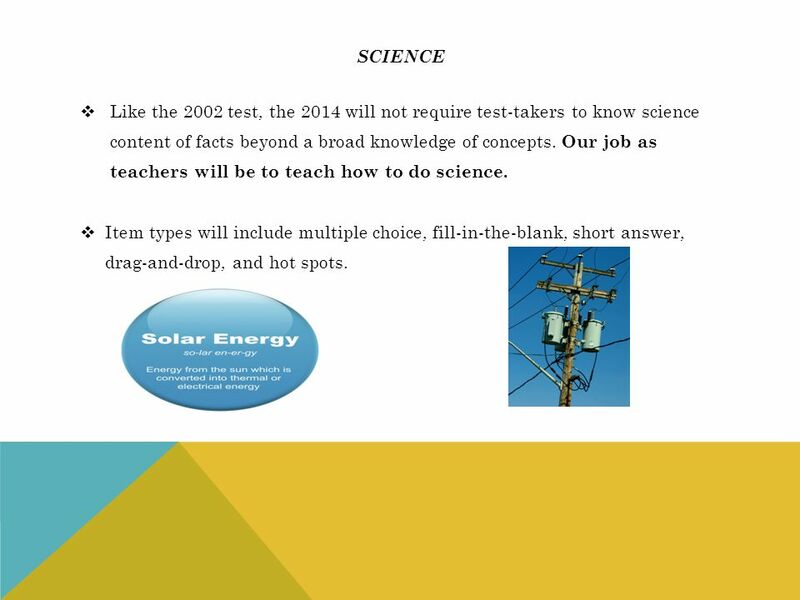 11 science Like the 2002 test, the 2014 will not require test-takers to know science content of facts beyond a broad knowledge of concepts. 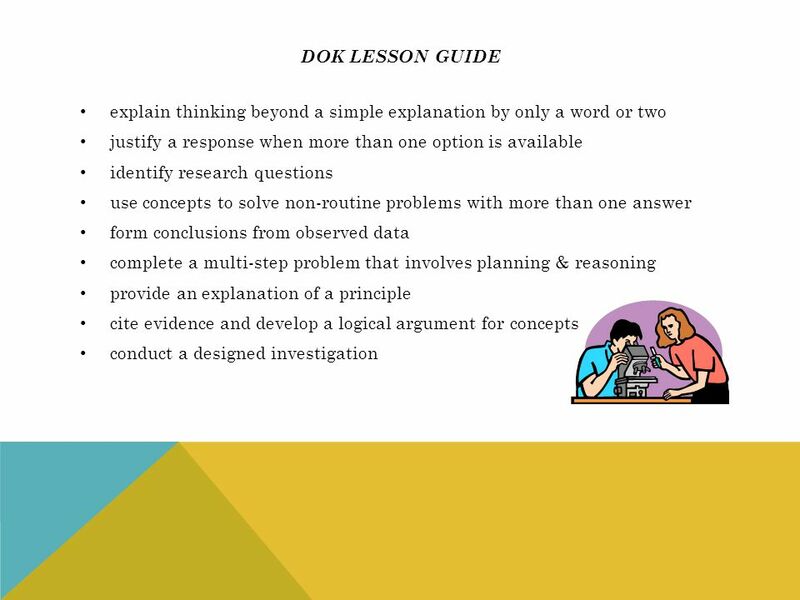 Our job as teachers will be to teach how to do science. Item types will include multiple choice, fill-in-the-blank, short answer, drag-and-drop, and hot spots. 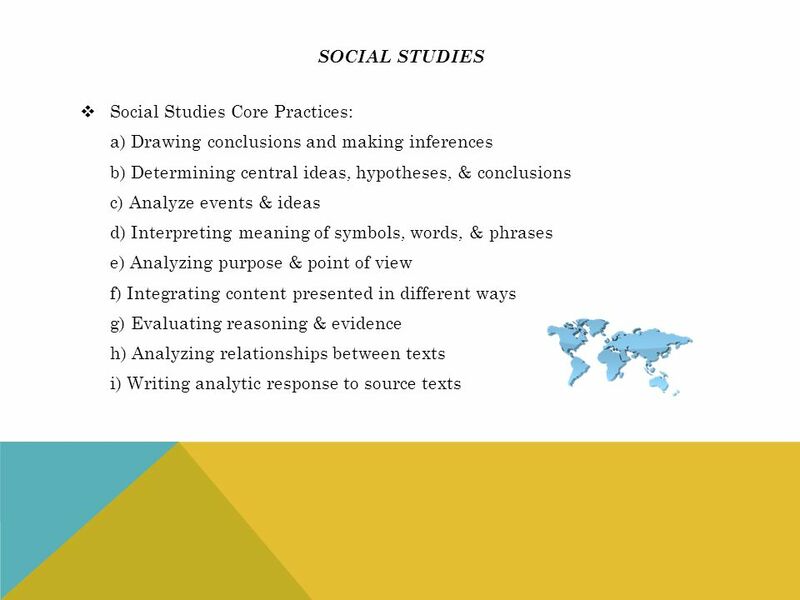 12 social studies The social studies test includes content from 97 sub-topics that are aligned with one of the eleven new social studies practices. This is a huge amount of content. 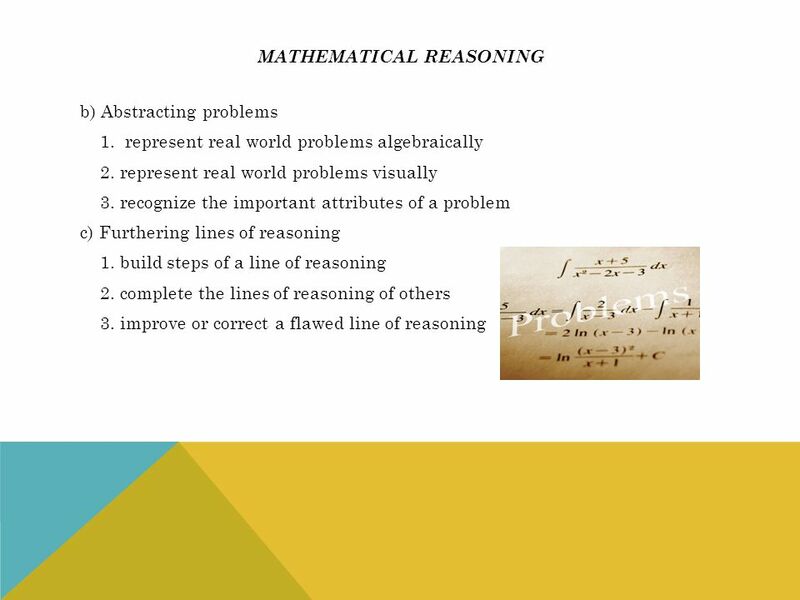 The consistent thread: high level reasoning skills. 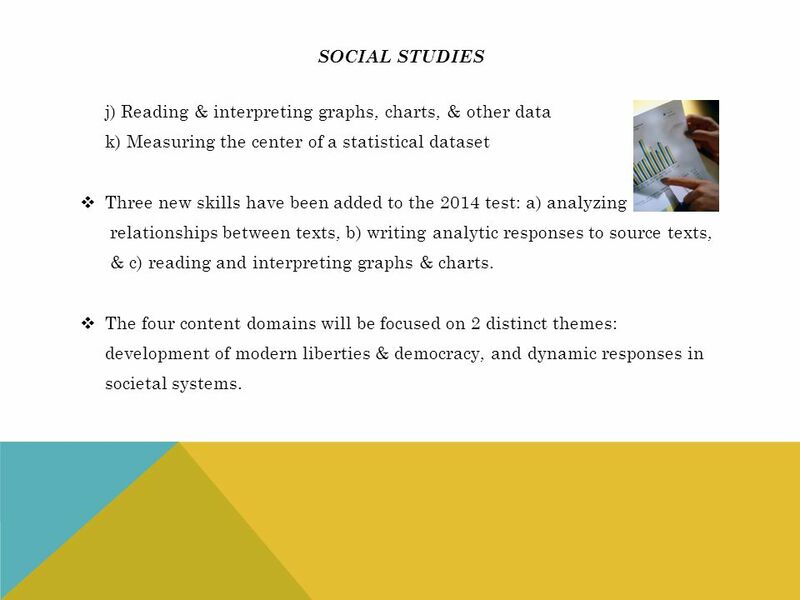 There will be four content domains: a) civics & government (50%), b) United States history (20%), c) geography & the world (15%), and economics (15%). 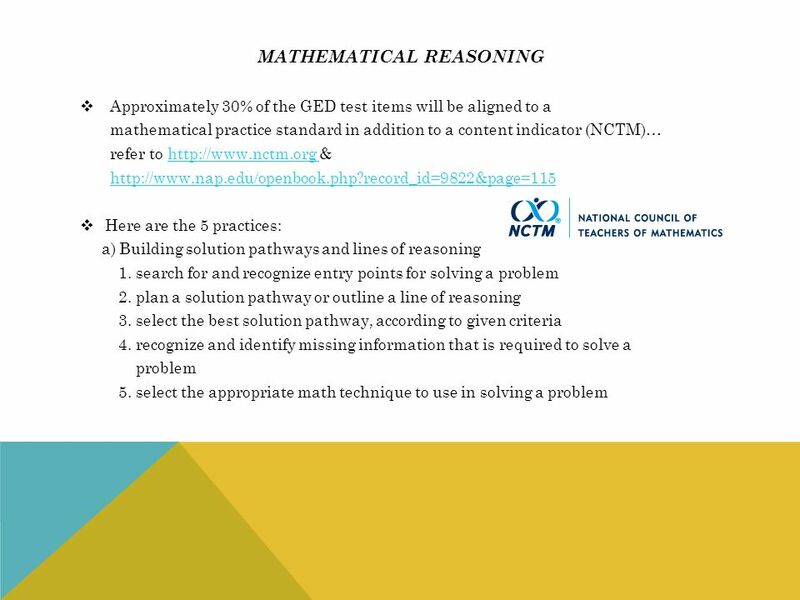 Test-takers are expected to have broad familiarity with the concepts. 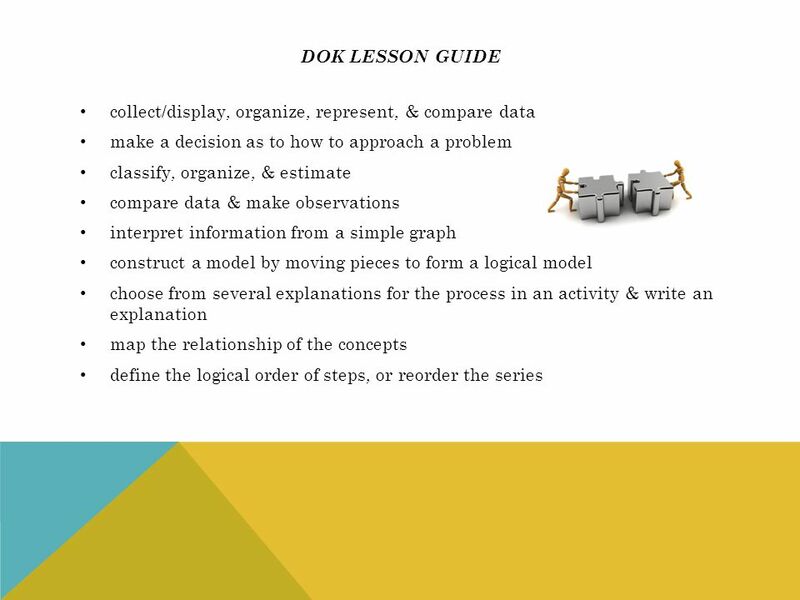 14 Social studies j) Reading & interpreting graphs, charts, & other data k) Measuring the center of a statistical dataset Three new skills have been added to the 2014 test: a) analyzing relationships between texts, b) writing analytic responses to source texts, & c) reading and interpreting graphs & charts. The four content domains will be focused on 2 distinct themes: development of modern liberties & democracy, and dynamic responses in societal systems. 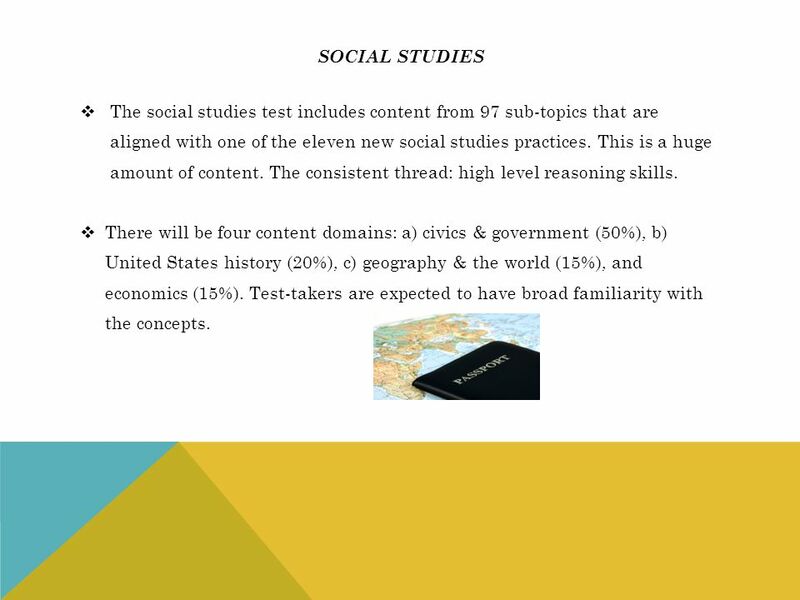 15 Social studies The social studies test will now have an extended response that will be 25 minutes in length. It will require the test-taker to analyze one or more texts in order to produce a writing sample. 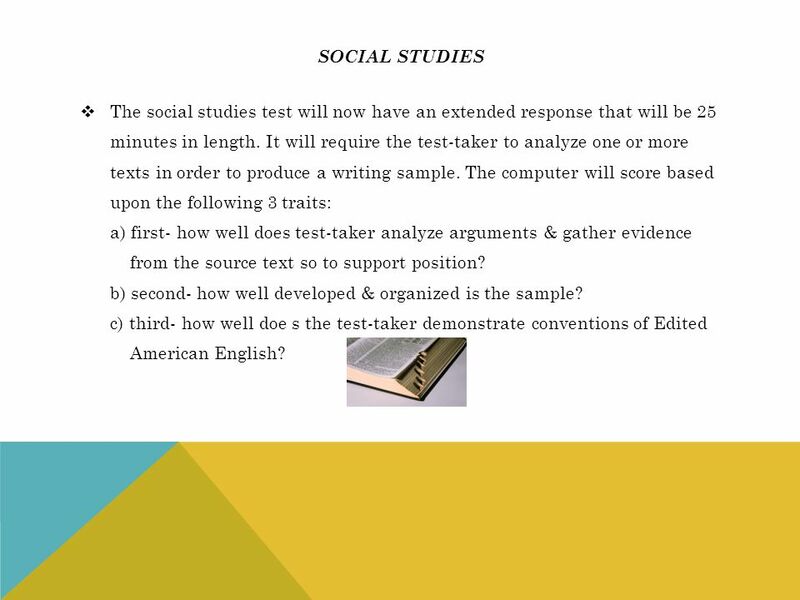 The computer will score based upon the following 3 traits: a) first- how well does test-taker analyze arguments & gather evidence from the source text so to support position? b) second- how well developed & organized is the sample? c) third- how well doe s the test-taker demonstrate conventions of Edited American English? 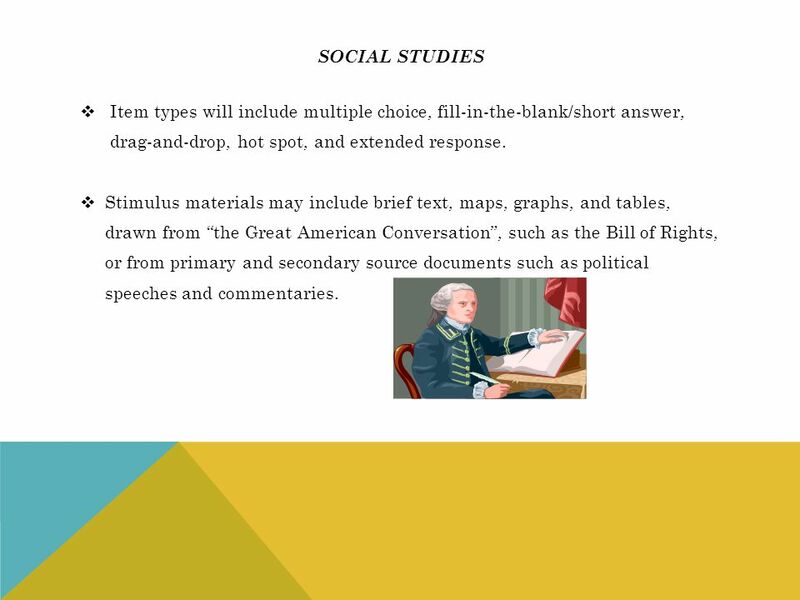 16 Social studies Item types will include multiple choice, fill-in-the-blank/short answer, drag-and-drop, hot spot, and extended response. Stimulus materials may include brief text, maps, graphs, and tables, drawn from “the Great American Conversation”, such as the Bill of Rights, or from primary and secondary source documents such as political speeches and commentaries. 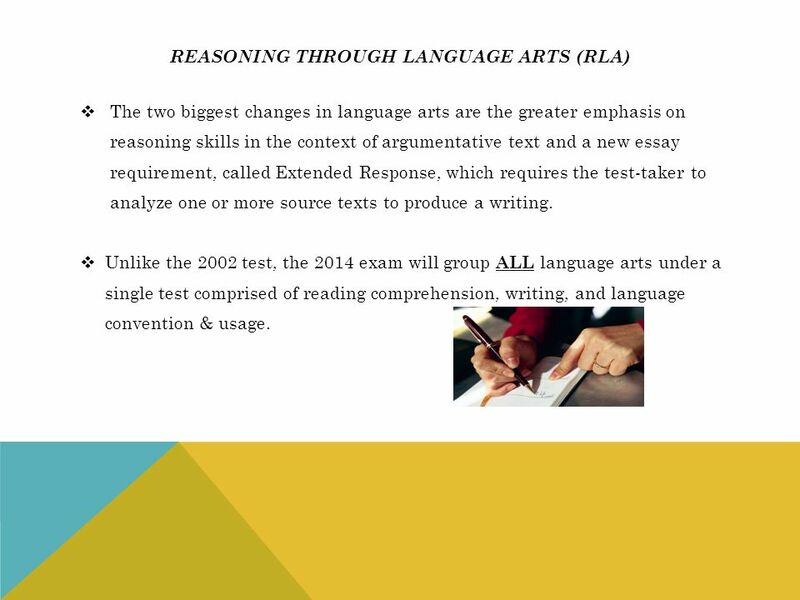 The two biggest changes in language arts are the greater emphasis on reasoning skills in the context of argumentative text and a new essay requirement, called Extended Response, which requires the test-taker to analyze one or more source texts to produce a writing. 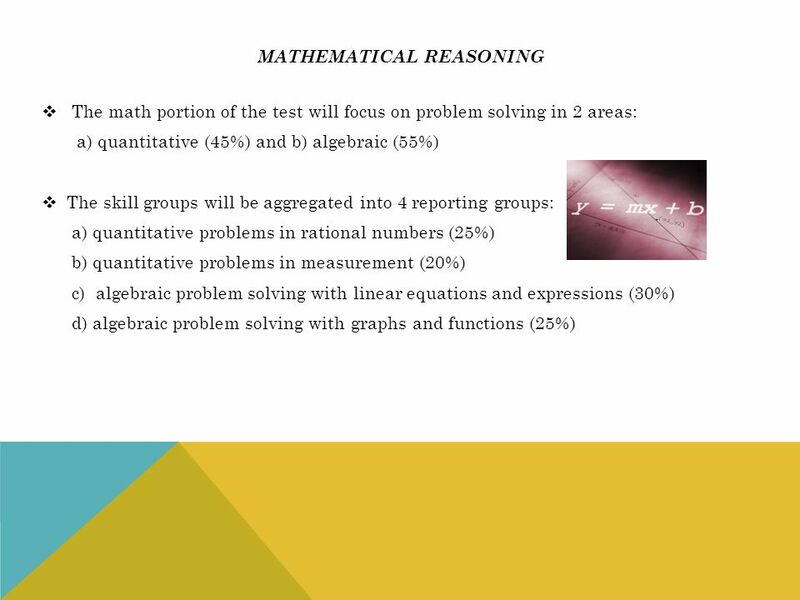 Unlike the 2002 test, the 2014 exam will group ALL language arts under a single test comprised of reading comprehension, writing, and language convention & usage. 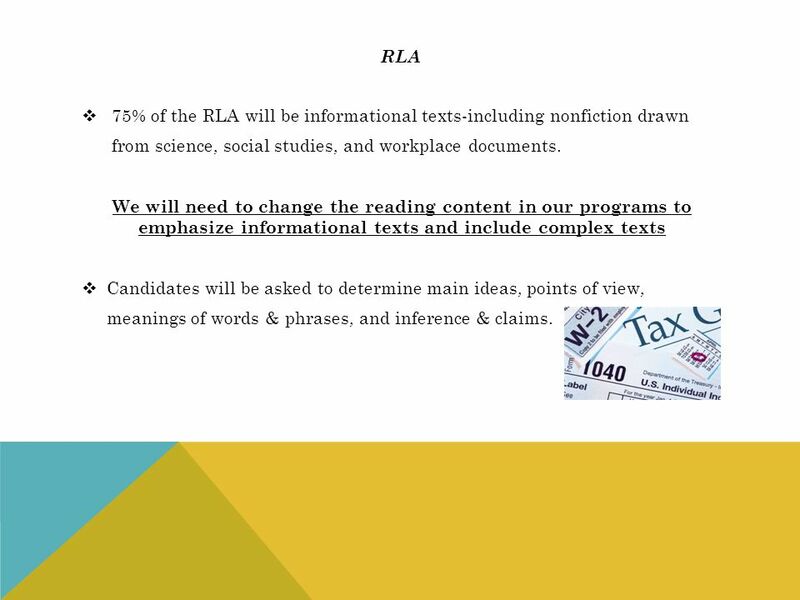 18 rla 75% of the RLA will be informational texts-including nonfiction drawn from science, social studies, and workplace documents. 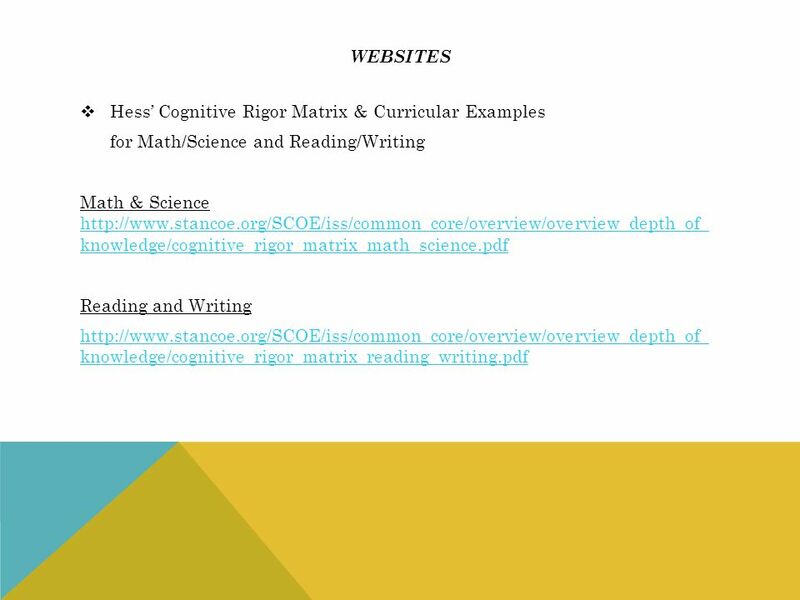 We will need to change the reading content in our programs to emphasize informational texts and include complex texts Candidates will be asked to determine main ideas, points of view, meanings of words & phrases, and inference & claims. 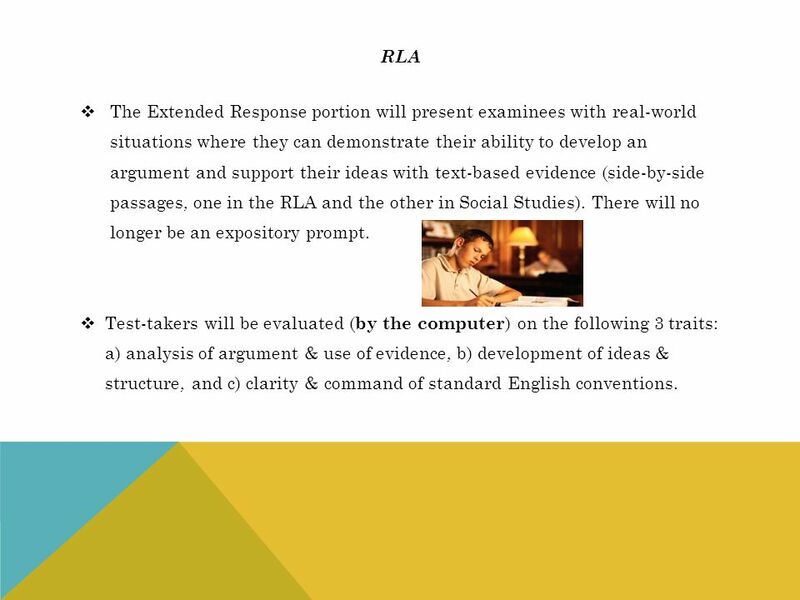 20 rla The Extended Response portion will present examinees with real-world situations where they can demonstrate their ability to develop an argument and support their ideas with text-based evidence (side-by-side passages, one in the RLA and the other in Social Studies). There will no longer be an expository prompt. 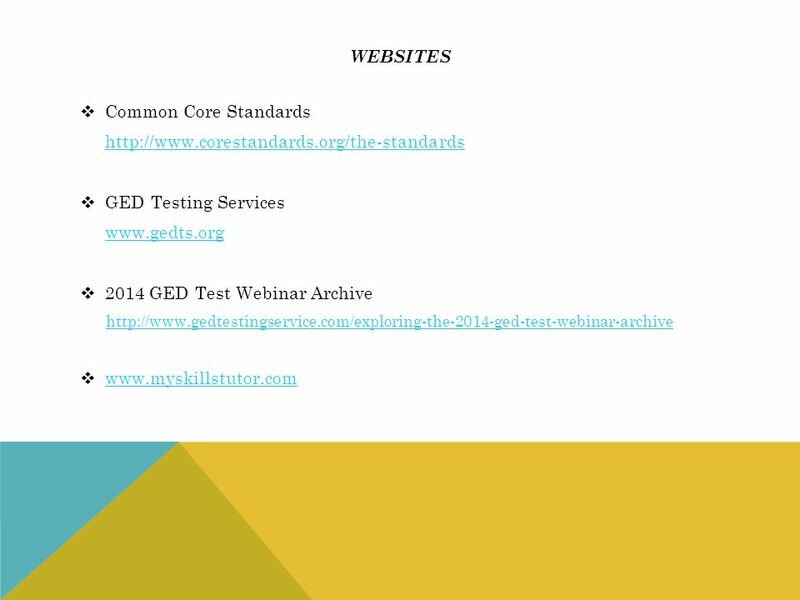 Test-takers will be evaluated (by the computer) on the following 3 traits: a) analysis of argument & use of evidence, b) development of ideas & structure, and c) clarity & command of standard English conventions. 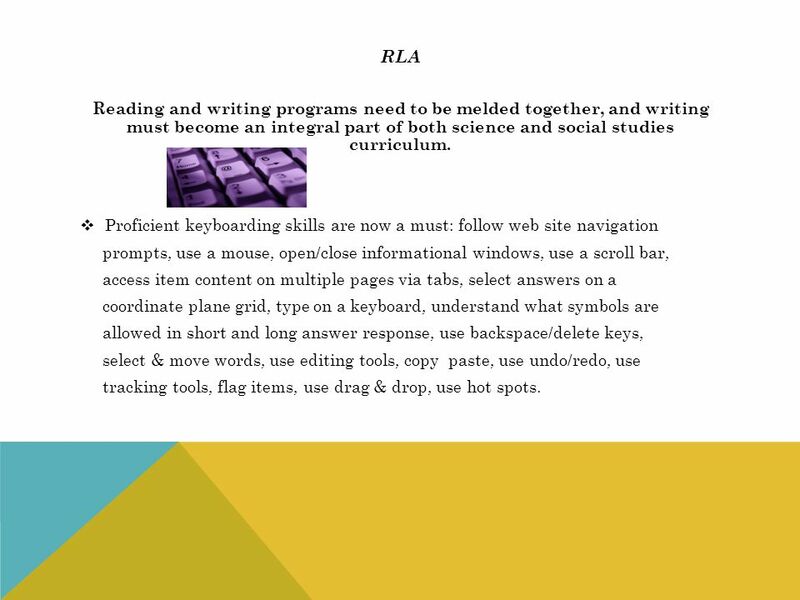 21 rla Reading and writing programs need to be melded together, and writing must become an integral part of both science and social studies curriculum. Proficient keyboarding skills are now a must: follow web site navigation prompts, use a mouse, open/close informational windows, use a scroll bar, access item content on multiple pages via tabs, select answers on a coordinate plane grid, type on a keyboard, understand what symbols are allowed in short and long answer response, use backspace/delete keys, select & move words, use editing tools, copy paste, use undo/redo, use tracking tools, flag items, use drag & drop, use hot spots. 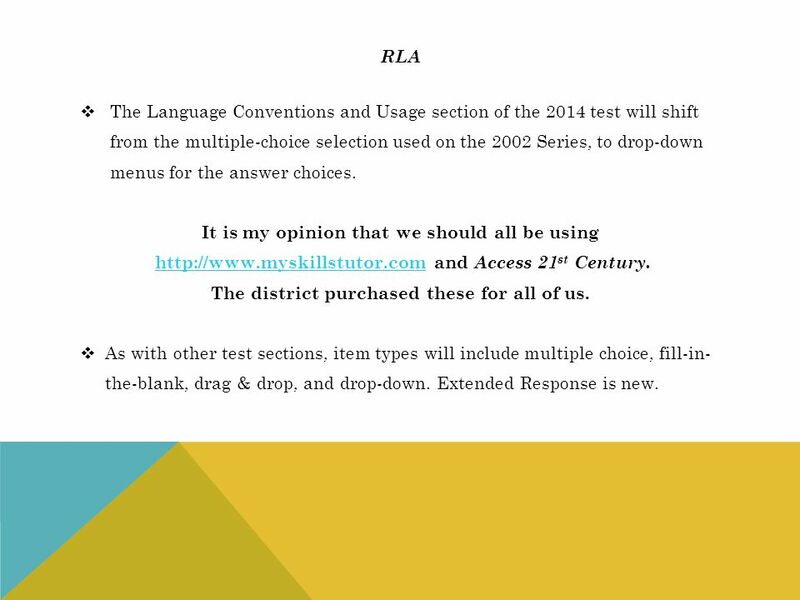 rla The Language Conventions and Usage section of the 2014 test will shift from the multiple-choice selection used on the 2002 Series, to drop-down menus for the answer choices. It is my opinion that we should all be using and Access 21st Century. The district purchased these for all of us. As with other test sections, item types will include multiple choice, fill-in- the-blank, drag & drop, and drop-down. Extended Response is new. 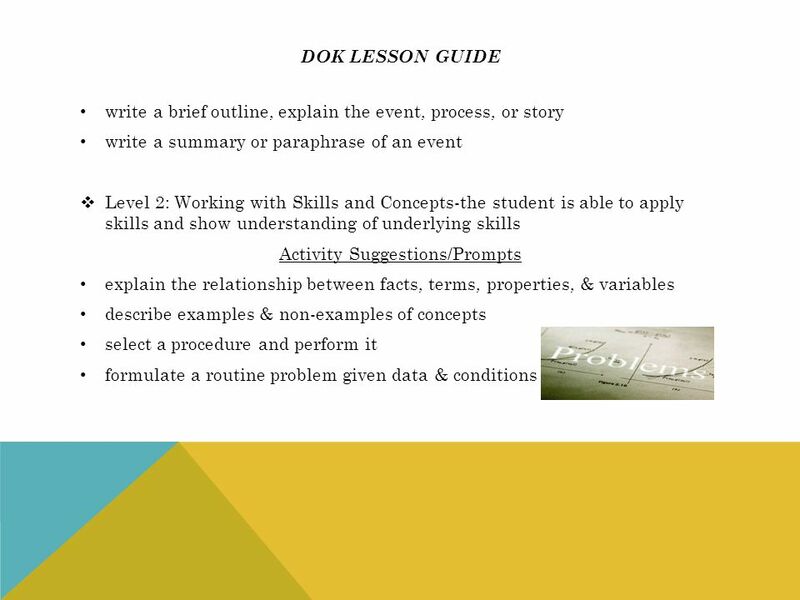 Extended Response (ER) Item ER allows test-takers to demonstrate their written communication skills and analysis of text at a high DOK level by producing a writing sample in response to a prompt. 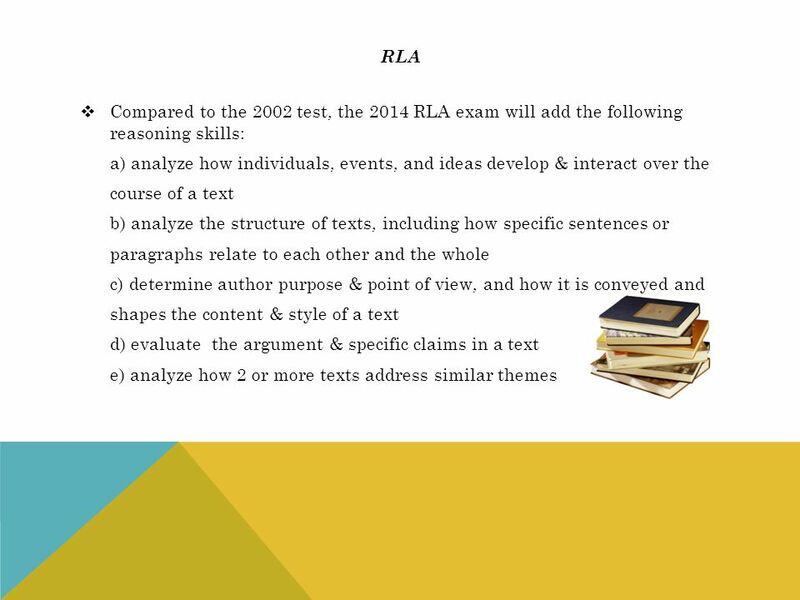 The 2 ERs will be in the RLA and the social studies portion of the test. 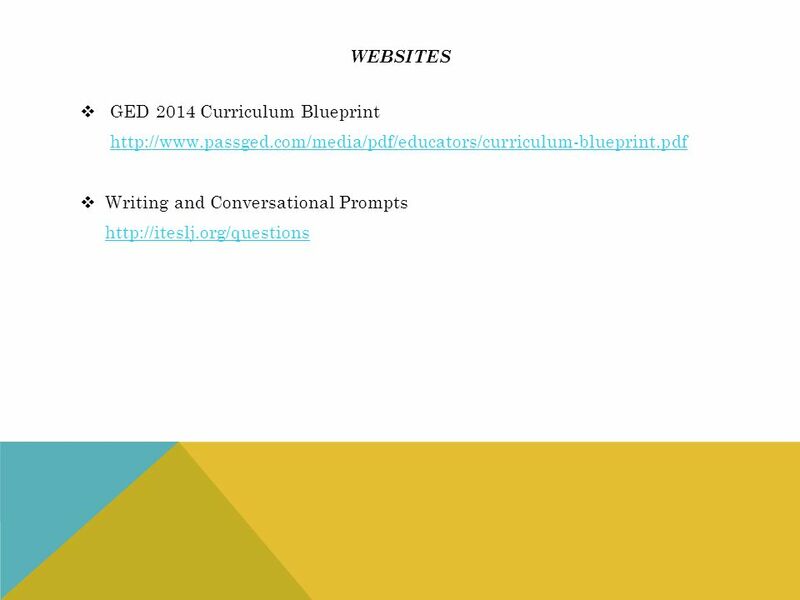 Response will be to textual source materials. 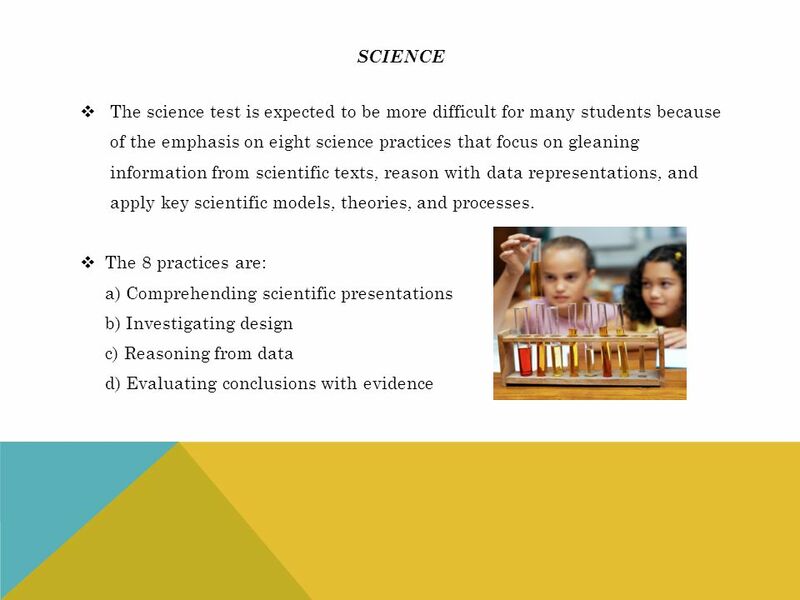 Short Answer (SA) Item The science test will feature SA items that assess higher-level cognitive skills. A short paragraph will be required in response to graphical and/or textual stimuli. Drag-and- Drop Item Drag-and Drop items have 2 parts: drag tokens and drop targets. Test-takers will be given several drag tokens which must be places on one or more specified drop targets. 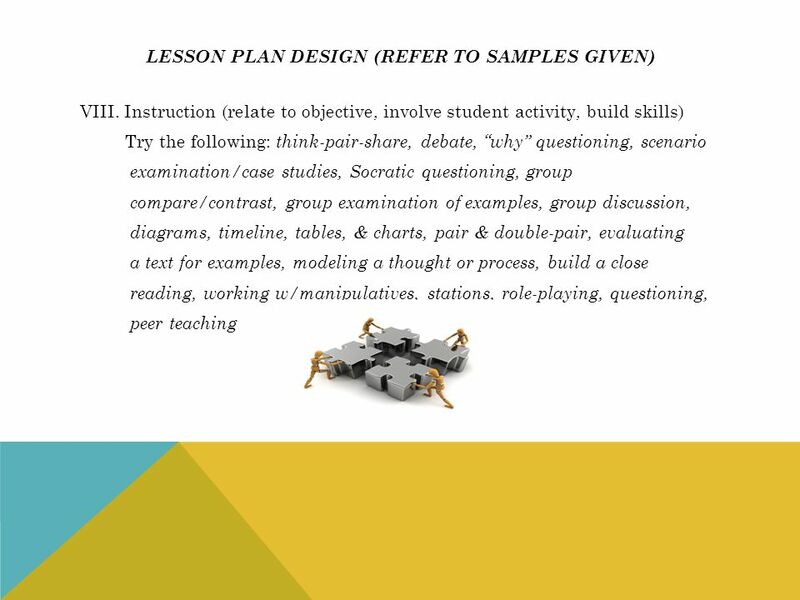 This may be in response to sequencing, reordering, graphing, mapping, etc. 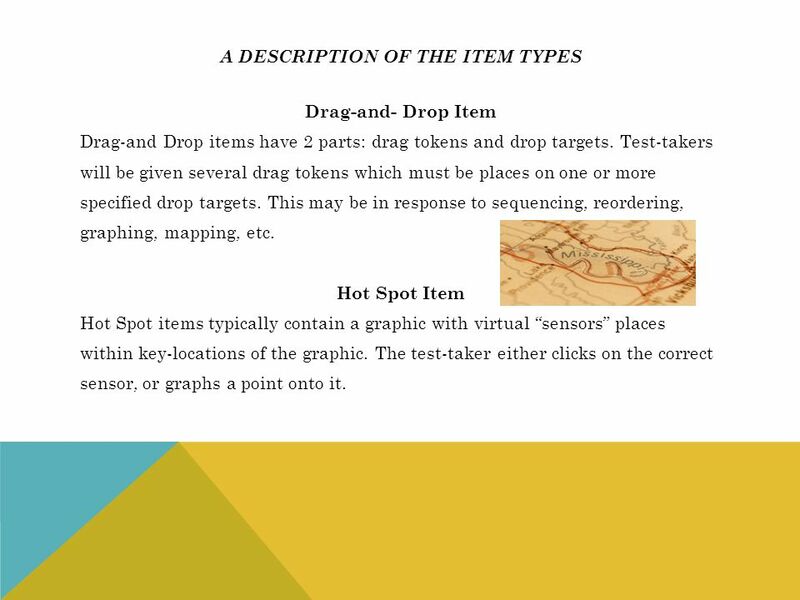 Hot Spot Item Hot Spot items typically contain a graphic with virtual “sensors” places within key-locations of the graphic. The test-taker either clicks on the correct sensor, or graphs a point onto it. 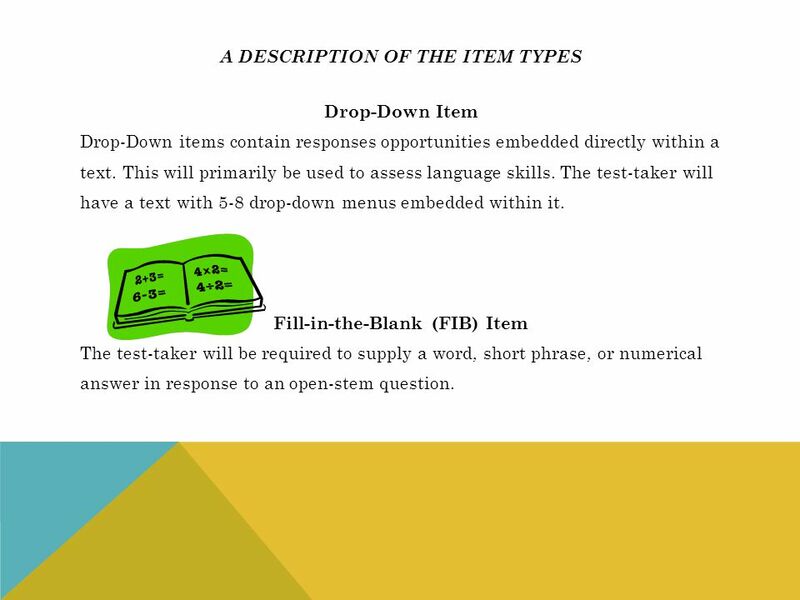 Drop-Down Item Drop-Down items contain responses opportunities embedded directly within a text. This will primarily be used to assess language skills. 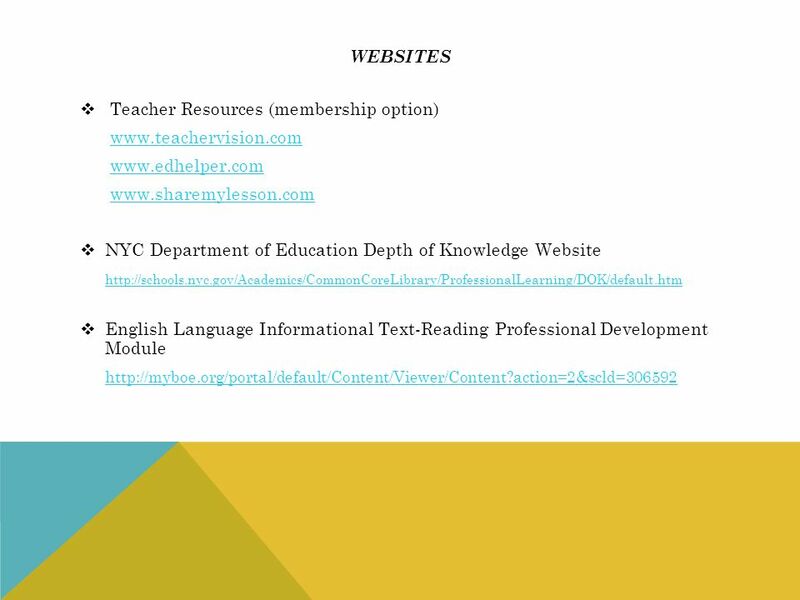 The test-taker will have a text with 5-8 drop-down menus embedded within it. Fill-in-the-Blank (FIB) Item The test-taker will be required to supply a word, short phrase, or numerical answer in response to an open-stem question. 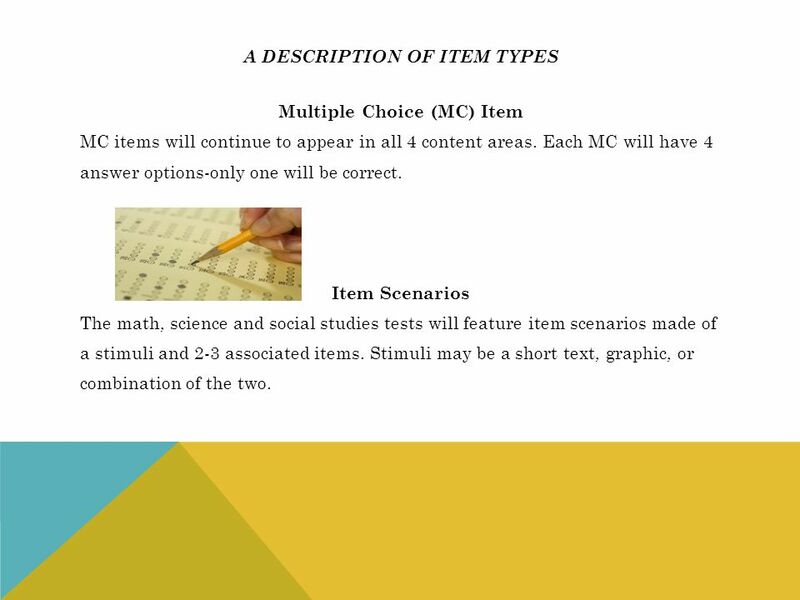 Multiple Choice (MC) Item MC items will continue to appear in all 4 content areas. Each MC will have 4 answer options-only one will be correct. 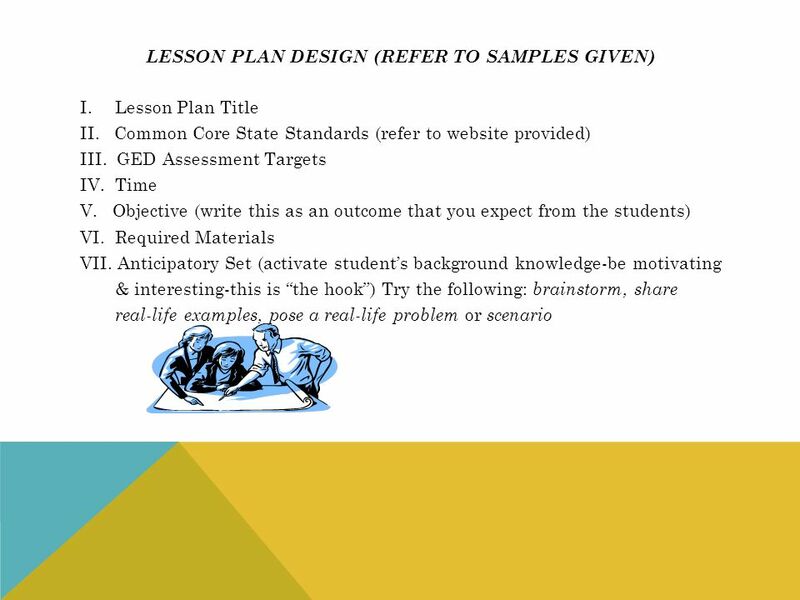 Item Scenarios The math, science and social studies tests will feature item scenarios made of a stimuli and 2-3 associated items. Stimuli may be a short text, graphic, or combination of the two. 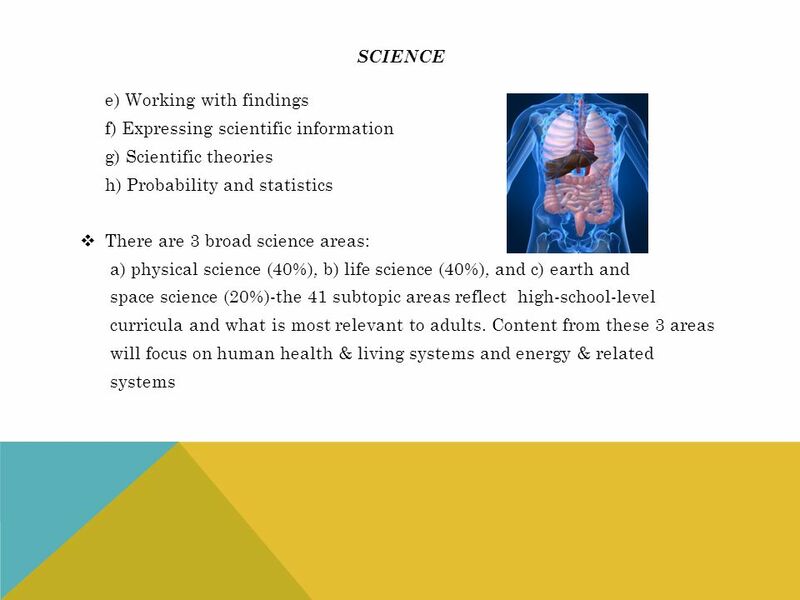 Discrete Item The math, science, and social studies will also include discrete, or single items, that may or may not have a stimulus embedded within them. 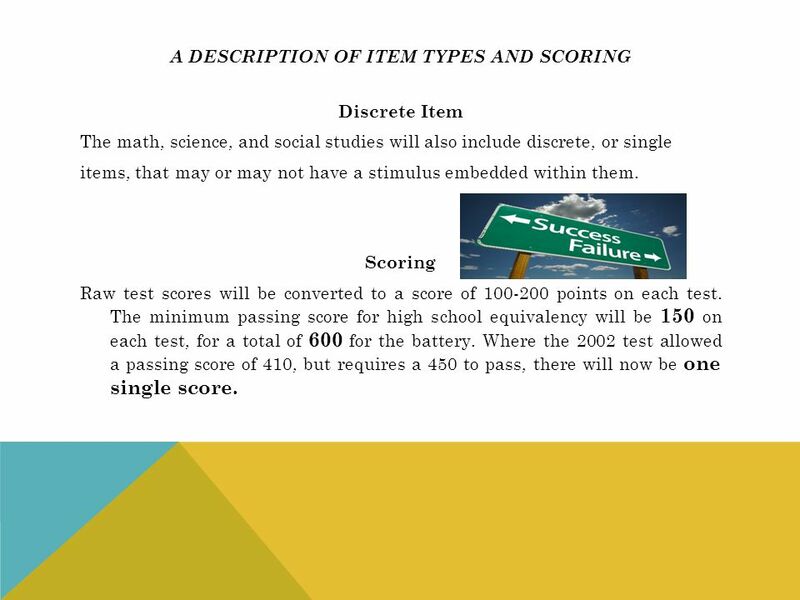 Scoring Raw test scores will be converted to a score of points on each test. The minimum passing score for high school equivalency will be 150 on each test, for a total of 600 for the battery. Where the 2002 test allowed a passing score of 410, but requires a 450 to pass, there will now be one single score. IX. Guided Practice (I do/we do/you do) X. 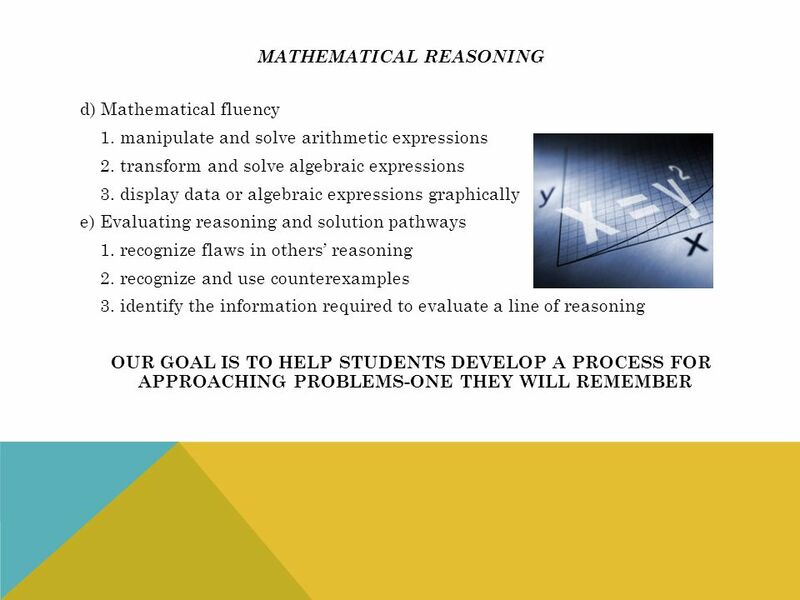 Application (student demonstrates proficiency of intended goal) Reflection (What have you done? What have you learned? How can you improve? What’s next?) XII. 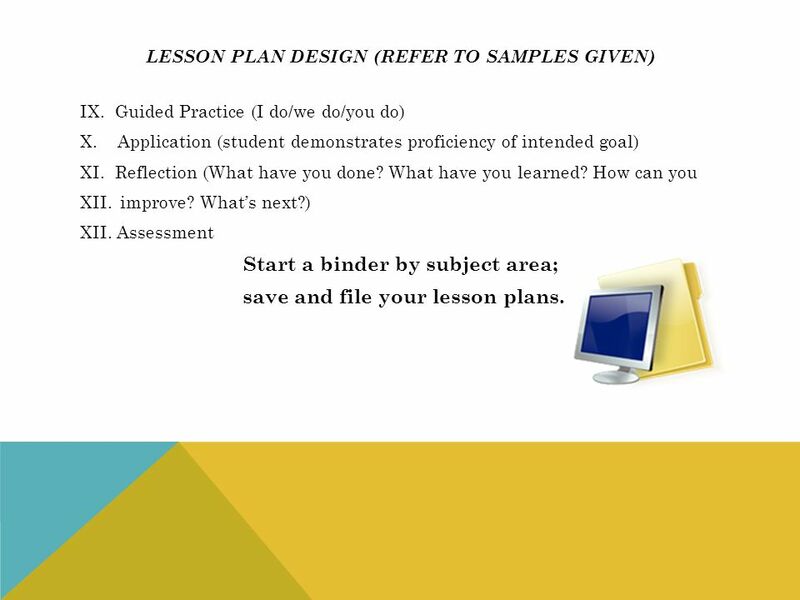 Assessment Start a binder by subject area; save and file your lesson plans. 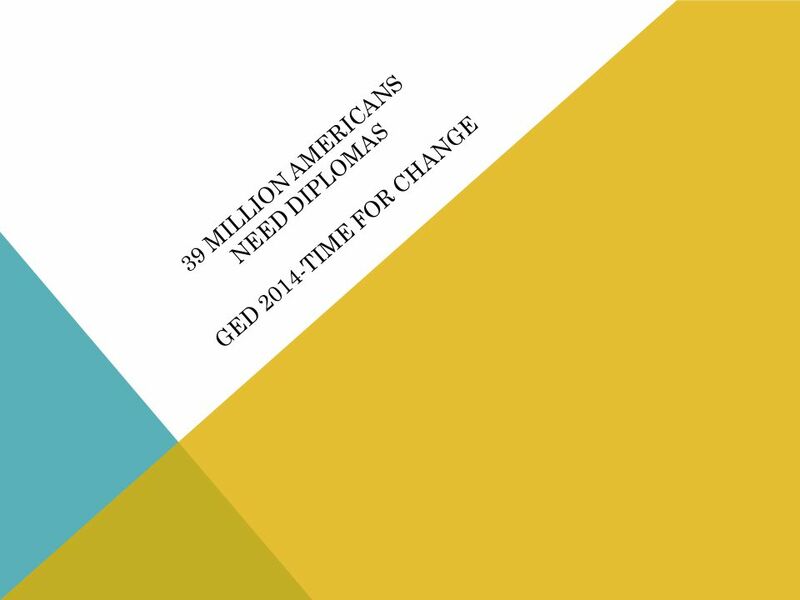 Download ppt "39 million americans need diplomas ged 2014-time for change"
Level 1 Recall Recall of a fact, information, or procedure. 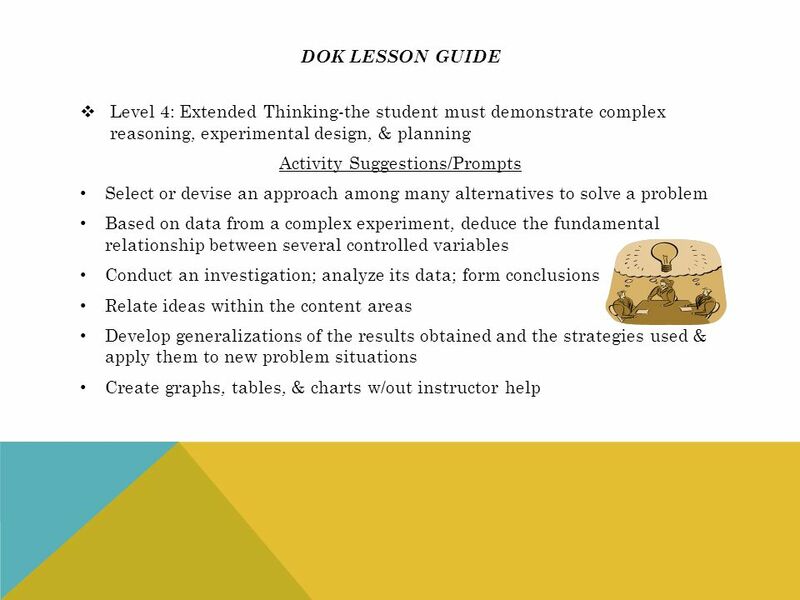 Level 2 Skill/Concept Use information or conceptual knowledge, two or more steps, etc. Level. 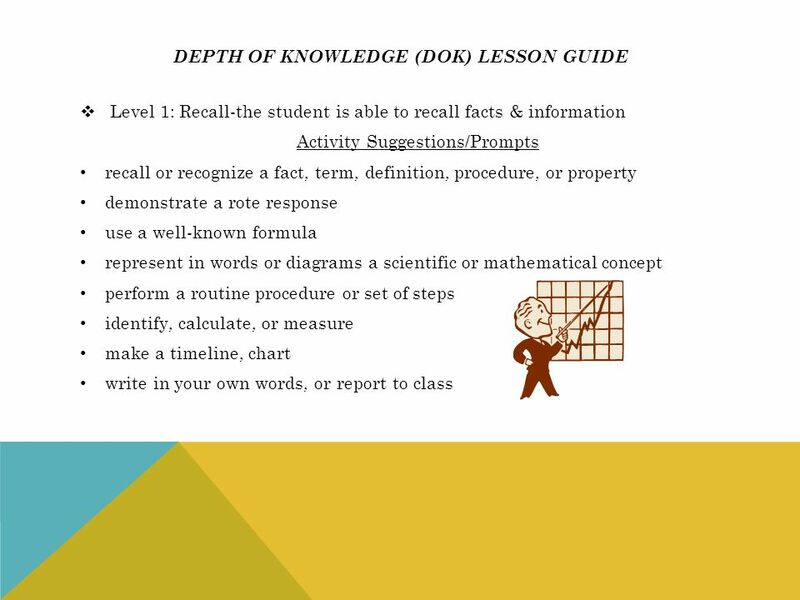 BLOOM’S TAXONOMY AND UNWRAPPING A STANDARD Using the Iowa Core Curriculum standards to develop daily learning targets. 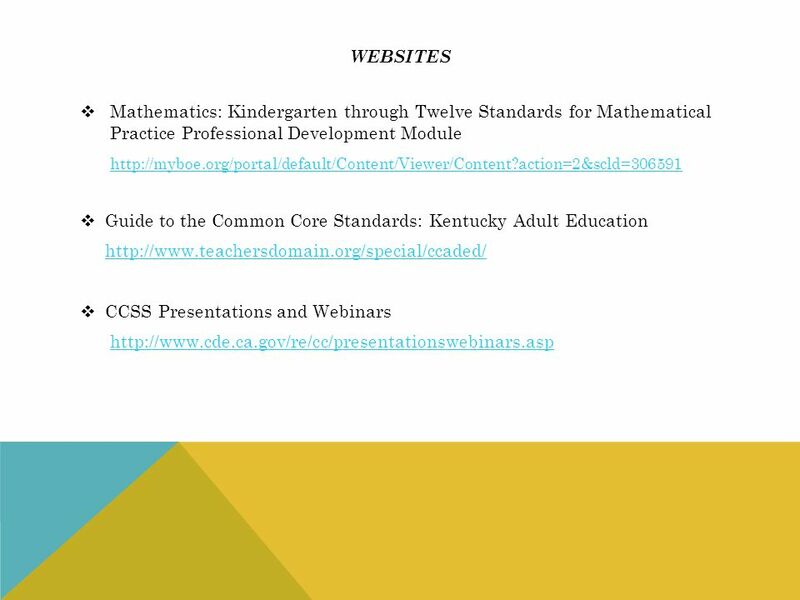 Common Core State Standards Standardizing What We Know Watch this short video. Common Core State Standards (CCSS) Nevada Joint Union High School District Nevada Union High School September 23, 2013 Louise Johnson, Ed.D. Superintendent.